Celebrtiy influencers, from Beyoncé and Bowie to Brian Blessed and Winnie the Pooh are attracting new audiences to museums. Powered by social media, these famous faces are able to drive significant growth in attendance. A trip to a museum these days could involve a whole host of different experiences. Visitors can enjoy virtual reality attractions and interactive displays. Now the general public is realising that museums can also be cool. A new trend for endorsements by celebrity influencers is partly to thank for this. We’re not talking celebrity museums, though visitors do already have a wide range of these to choose from. These include such quirky gems as The Kentwood, home to Britney Spears‘ childhood bedroom. 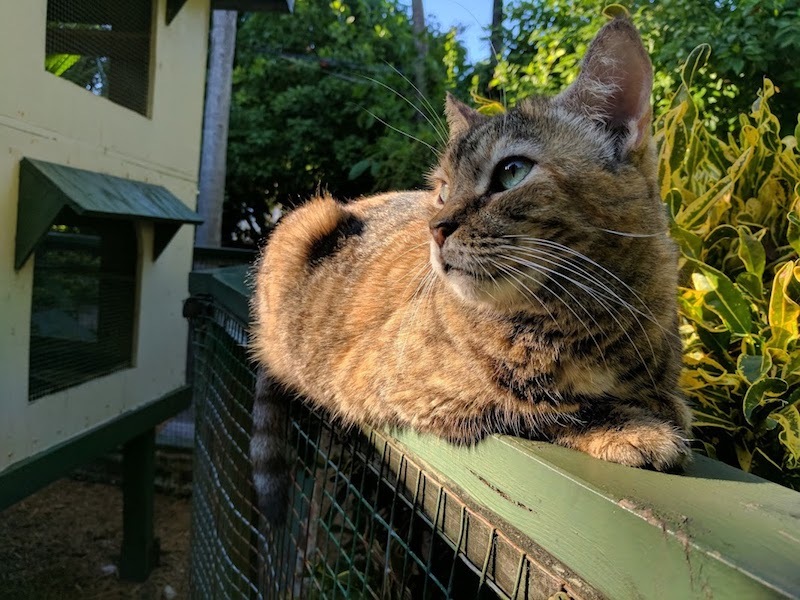 Or perhaps Ernest Hemmingway’s Home and Museum, which is still home to around 50 of his cats’ descendants. No, this trend includes world-renowned institutions. Museums such as the Louvre and the Metropolitan Museum of Art are benefitting from the cult of celebrity influencers. Celebrity endorsements of museums are helping them to attract a new demographic. Such is the power of the modern celebrity that one simple mention or Instagram post can have consumers buying particular products in their droves. For example, back in 2015, the pop star Beyoncé was pictured wearing a pair of jeans from a high street store. They sold out worldwide almost instantly. When Kim Kardashian posted a snap of herself wearing a pair of trainers from husband Kanye West’s own line, they sold out within fifteen minutes. World famous celebrities have an almost unbelievable reach on social media. Beyoncé has 126 million followers on Instagram. Kim Kardashian has over 60 million followers on Twitter. It’s easy to see how messages put out by these stars can reach a large audience. Museums have already learned that celebrities and fashion are a great mix. Shows on this topic are a great way to get visitors through the door. 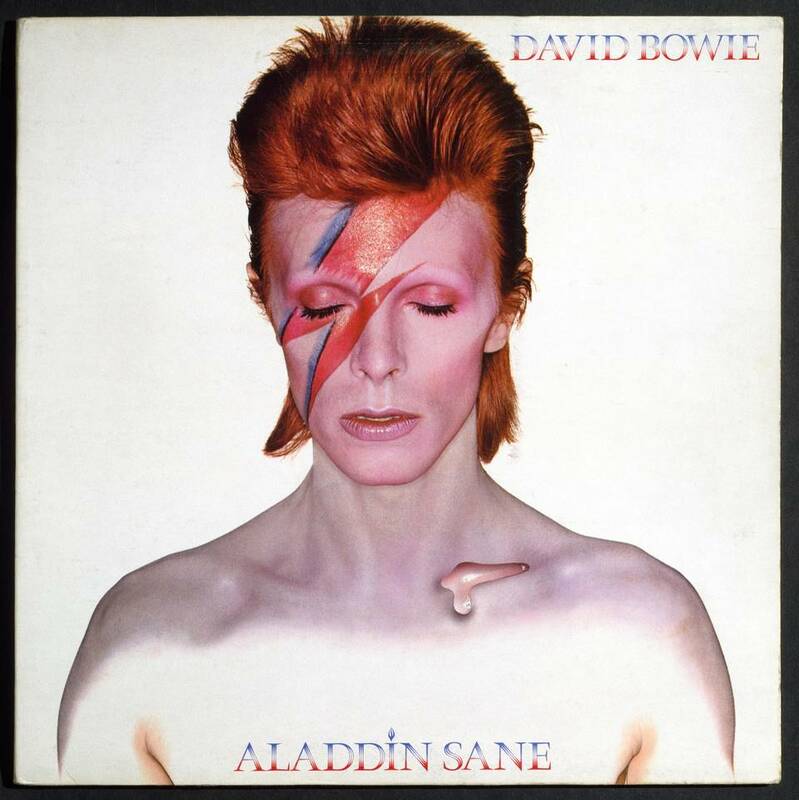 In 2018, the V&A announced that its touring exhibition, David Bowie is was the museum’s most visited show in history. The retrospective of the iconic artist and performer brought in visitors from around the world. The exhibition toured 11 venues over 10 countries. Over 300,000 people visited the installation when it premiered at the V&A in London. Around two million people attended the touring show overall. The museum also hopes to replicate this success with two new shows on celebrity fashion icons. The Mary Quant exhibition celebrates the designer’s quintessential 60s and 70s fashions. It shows how Quant herself was a key celebrity influencer during that period. Another exhibition focuses on Christian Dior, the fashion designer beloved by celebrities worldwide. This particular trend goes beyond adding new celebrity-based collections, however. Museums are also benefitting from a string of celebrity endorsements, visits and collaborations. The most notable example is the release of the music video for ‘Apesh*t’. 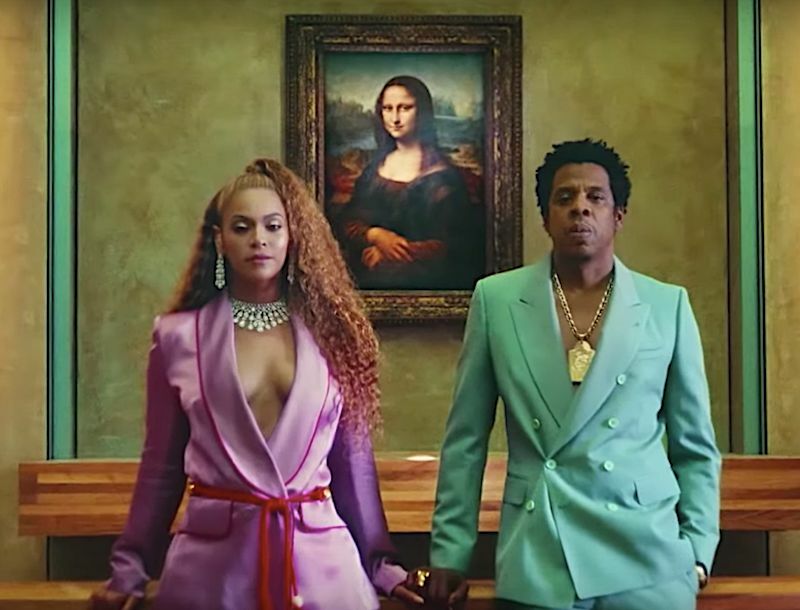 The video for the single, by global superstars Beyoncé and Jay-Z, was filmed in the Louvre. It features shots of the celebrities in front of a series of world-famous masterpieces. These include instantly recognisable pieces such as the Mona Lisa and the Venus de Milo. Part of the concept of the shoot is to position people of colour in front of traditional, ‘white’ works of art. One scene makes it look as if Beyoncé is being crowned, in front of Jacques-Louis David’s The Consecration of the Emperor Napoleon and the Coronation of Empress Joséphine. 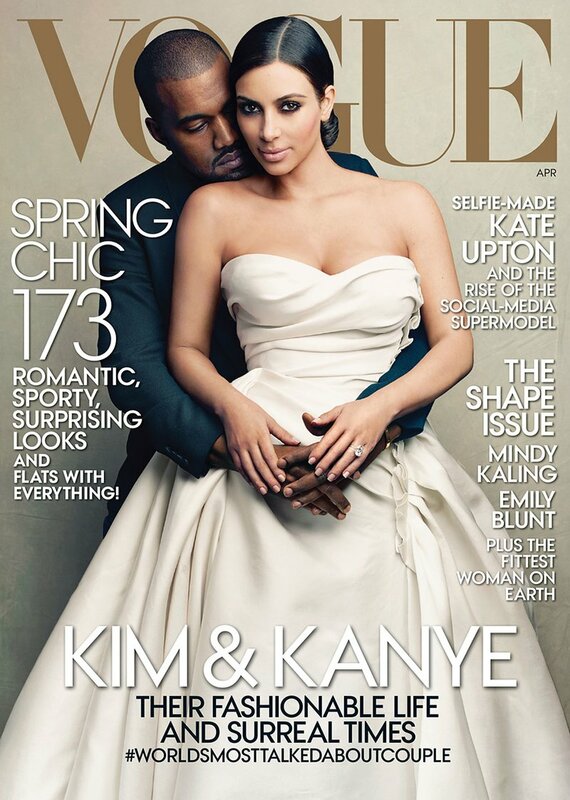 The hip-hop power couple is clearly sending a message with these choices. But the video also helps the museum to appear inclusive and welcoming of a larger audience and a wider demographic. The video also includes details of the museum’s lush interiors. The opening shots pan across the painted ceiling of the Galerie d’Apollon. This inclusion of celebrity culture into a traditional museum setting is striking. It sends a message that these spaces can be cool and modern. The Louvre has credited the music video for an uptake in visitor numbers. Beyoncé and Jay-Z’s video for Apesh*t dropped in 2018 and immediately went viral on social media. The same year, the Louvre reported an increase in footfall of 26%. The Paris landmark has always been a visitor favourite. It is already the most visited art museum in the world. However, at 10.2 million visitors, 2018 was the Louvre’s busiest year to date. The allure of celebrity influencers has helped the Smithsonian National Portrait Gallery to raise its visitor numbers too. In 2018, the museum unveiled modern portraits of Barack and Michele Obama. The artwork by Kehinde Wiley and Amy Sherald brought in a huge number of visitors and locals keen to view the iconic images in person. The museum’s attendance figures leapt to 2.3 million. This is around a million more visitors than the previous year. The Met Gala is one of New York’s most star-studded events. The annual Costume Institute Gala is held at New York’s Metropolitan Museum of Art. For celebrities, fashionistas and New York’s high society it is one of the biggest events on the calendar. The museum uses the gala to celebrate the grand opening of a new exhibition each year. A large amount of the publicity revolves around who wore what, and which designers are in vogue. Yet, the event is still a properly curated art exhibition in its own right. It helps to generate interest in the Met’s exhibitions. The gala also means that the Met enjoys much coverage in glossy magazines and on social media before and after the event. In 2018, the Gala launched the exhibition Heavenly Bodies: Fashion and the Catholic Imaginations. The show mixed fashion with religion. It showcased haute couture alongside 42 ecclesiastical pieces from the Sistine Chapel. The museum used the exhibition to explore the relationship between fashion and Catholicism. It included papal robes that have never before been seen outside the Vatican. These were displayed alongside fashions from the early twentieth century to the modern day. Almost 1.7 million people viewed the exhibition, equating to a jaw-dropping 10,919 visitors a day. This is the Met’s biggest attendance record since 1978 when 1.4 million people visited the Treasures of King Tutankhamun. Anna Wintour, the legendary Vogue editor, has chaired the Met Gala since 1995. There is also a host of celebrity co-chairs. The 2018 event was co-chaired by Amal Clooney, Rihanna and Donatella Versace. This celebrity influence is undoubtedly a factor in attracting visitors to the museum’s exhibitions. The 2019 Met Gala will be co-chaired by more celebrity big hitters – Lady Gaga, Alessandro Michele, Harry Styles and Serena Williams. In addition, these celebrity influencers are likely to attract a larger audience to the Met’s next big exhibition, Camp: Notes On Fashion. Chinese museums are also looking towards celebrity influencers to attract new visitors. A popular TV show showcased a selection of historical relics from nine major museums. “National Treasures” is part heritage documentary, part celebrity-studded sketch show. It is a hit with young audiences. The show launched In 2017 and was given a second season in 2018. The format of the show features Chinese celebrities such as actors Wang Kai, Li Chen and Tony Leung. They act as “Treasure Keepers”. The celebrities tell the stories behind the pieces and narrate their history. During the first season, many Chinese museums took part. The Palace Museum, Shanghai Museum, Nanjing Museum, Hunan Provincial Museum, Henan Museum, Shaanxi History Museum, Hubei Provincial Museum, Zhejiang Provincial Museum and Liaoning Provincial Museum all provided three artefacts from their collections for the show. The aim is to bring these historical items to life and to engage with a new demographic. Building on the celebrity format is another TV show, “Forbidden City: New Production”. This takes place in Beijing’s Palace Museum. Here, celebrities are given tasks within the museum. For instance, trying to sell Forbidden City-themed merchandise to members of the public. This fresh take on the museum experience is intended to appeal to a younger audience. It invites young people to connect with the heritage on display in the museum. Another trend that has taken off in recent years is that of the celebrity curator. Stars such as the singer Pharrell Williams and award-winning author Julian Barnes have curated their own shows in a variety of museums and galleries. For museums, the addition of a celebrity name to an upcoming exhibition can be a huge plus. It means they are likely to reach a larger audience. Furthermore, for the celebrity it is a chance to show a new side of themselves to fans. Instagram has also helped to create a whole new generation of celebrity influencers. Such is the reach of Instagram superstars that some museums have reached out and invited collaborations. In 2016, Paris Musées approached ten well-known Instagrammers from art backgrounds. It wanted to promote its new website and searchable digital collection. To do so, it asked the influencers to re-create some iconic pieces from the city’s municipal museums. This project was collaborative and kept the aesthetic of the museum’s collections intact. On the other hand, some museums have sprung up which many have speculated exist just to be ‘Instagrammable’. Some argue that the definition of art is being blurred by these people-pleasing exhibits. Pop-up museums and venues such as the Museum of Ice-Cream are proving very popular. They are undoubtedly benefitting from providing photogenic and quirky backdrops. However, more renowned museums are getting in on the act too. Immersive exhibitions such as Rain Room and bold, colourful shows such as Wonder easily lend themselves to dramatic photo opportunities. In 2018, the Smithsonian American Art Museum reached number three on the list of most popular exhibitions with its installation Do Ho Suh: Almost Home. The Korean artist Do Ho Suh created large fabric sculptures for the show which were a hit with Instagrammers. As a result, over one million people visited the exhibition. Some celebrities, like Beyoncé or the Kardashians, have reached an almost cult-like status in modern society. There was even a short-lived Museum of Celebrity Leftovers at one point in the UK. However, the appeal of a recognisable name is not new. Throughout history, people have often been drawn to fashions and trendsetters. Historically these influencers may have been artists, royals or politicians. Now they are musicians, reality stars and designers. Having a famous name attached to a project has its benefits. However, it should not be the be all and end all of the appeal. Exhibitions need to have some substance to them beyond the celebrity touch. Having a famous face on board is not a guarantee of success either, as MoMA’s Björk Retrospective showed. Critics panned the 2015 installation by Klaus Biesenbach. Another factor to bear in mind is that some celebrities have more pull than others. One unlikely celebrity helped boost the V&A Museum’s attendance figures in 2018. Childhood favourite Winnie-the-Pooh drew 1181 visitors a day. The exhibition about the bear of little brain proved more popular than the V&A’s installation on fashion powerhouse Balenciaga. Be it Beyoncé, Balenciaga or Banksy, the trend for museums engaging with celebrity influencers seems set to continue. For example, London’s Design Museum will shortly open an exhibition dedicated to the filmmaker Stanley Kubrick. The London Museum has also recently engaged famous names, such as Kate Moss and Brian Blessed. They lend their voices to its new immersive Beasts of London experience. Thanks to the success of projects such as the Apesh*t video, museums around the world are more open to working with celebrities than ever before.